"There's a strategy called job crafting; it means customizing your job, and it can foster more satisfaction. Try these three things: First, change how you work. For example, if sending and answering email bores you, find ways to reduce the volume. Second, change who you interact with—cultivate relationships with people you like, or become a mentor. Third, find the why, or the meaning, in your work. If you can feel that what you're doing has purpose, then that's really a big thing." 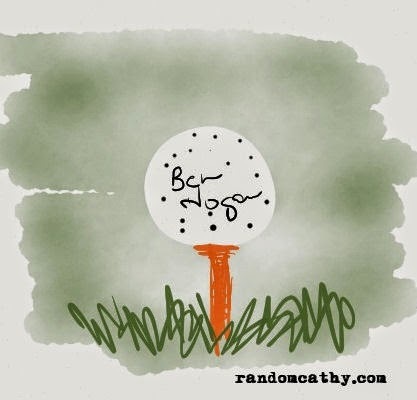 I remember touring the Ben Hogan golf ball factory with my class when I was in elementary school. We stood in front of a woman pulling a lever that was stamping the name of the company on the golf ball. One of my friends asked, "Is this your job?" The lady smiled and said, "yes." Then, she asked the question I was wondering but thought I would get in trouble for asking. She said, "Isn't it boring?" For most of us in the US, boring is a choice. While we might feel like we need someone to give us permission to make changes in our day, the reality is for most things, we don't. If we look at our task list creatively we can usually make changes to the way we work. We've all heard the story of the singing tollbooth operator. The reason his happy, music and dancing is so remarkable is because "tollbooth operator" is historically as potentially boring of a job as "golf ball stamper." How we do what we do is as important as what we do. Often "job misery" comes from the people who surround us. If we work with good people, we can hang out in the trenches with them and endure misery. The military is awesome at cultivating this. I heard Gil Brindley speak at a conference this week. He said in the military, you "practice being miserable" so that when it happens to you in wartime, you know how to cope. But he also described such a sense of camaraderie and watching out for each other that it makes misery bearable. Joe Robinson's second strategy about being intentional in who you spend time with is a big deal. We can't always choose our boss, but we can choose who mentors us, who we go to lunch with, and often who we work on projects with. With intention, we can affect the people aspects of our jobs. - Being part of a team and supporting our coworkers. - Creating a good life for our family. - Developing skills to invest in ourselves. - Interacting with people we would never meet just sitting at home. - Making someone else's day just a little bit easier and lighthearted. It is possible to change your job yourself without actually changing your business card. Sometimes, you just have to shift your perception to believe it is possible.